Ireland have received a huge boost ahead of their trip to Wales with Jonathan Sexton passed fit for the match in Cardiff. Assistant coach Richie Murphy confirmed Ireland's fly-half trained fully on Tuesday, after recovering from hamstring trouble. Murphy said Ireland now have "a full deck to pick from" with Jamie Heaslip, Sean O'Brien and Jared Payne all cleared to face Wales this weekend. Heaslip has been on the comeback trail from a fractured vertebrae in his back, while O'Brien and Payne have both proved their fitness after concussion. "Johnny took full part in training this morning, he has done all the team stuff and trained well," said Murphy. "Everyone else has come through, Jamie trained Monday and Tuesday so he's fit and healthy and ready to go. "And the two boys, Jared and Sean O'Brien both passed their return to play protocols. They have done contact today so as long as there's no reaction over the next 24 hours they are both fit and ready to go. It looks like a full deck to pick from, and everyone is very upbeat, everyone enjoyed that session this morning, the intensity was right up there. "Having everyone fit and healthy is a massive thing for the squad because it puts pressure on everyone. The environment gets a nice little buzz off that." Sexton has been widely hailed as the world's form fly-half as Ireland have swept to a record-equalling run of 10 consecutive Test victories. 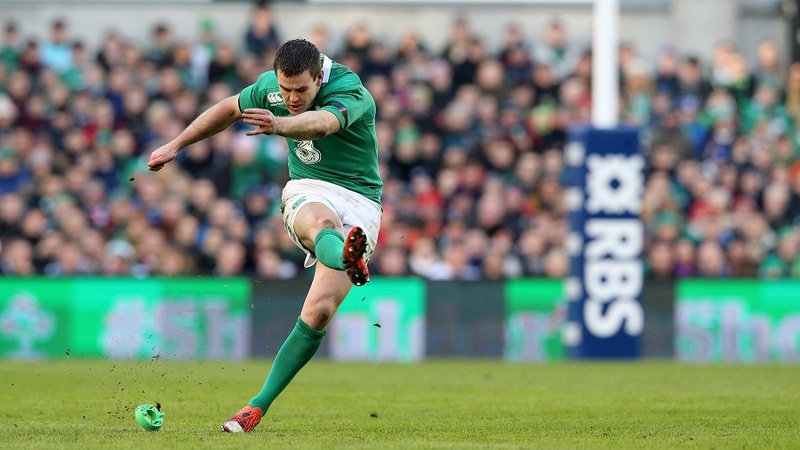 He limped out of the closing stages of Ireland's 19-9 victory over England in Dublin on March 1, with Irish bosses admitting only on Monday that he still had to prove his fitness. Joe Schmidt's side can take a giant leap towards a first Grand Slam in six years with victory over Warren Gatland's Wales in Cardiff this weekend. Sexton's return to fitness hands Ireland a huge boost in the quest for back-to-back Six Nations titles for the first time since 1949. Ireland skills coach Murphy admitted Sexton is yet to go through goal-kicking drills at full tilt, but backed the peerless playmaker to ease through the rest of the week. "He's dealing with the rehab guys really, so they have him on a programme bringing him through that," said Murphy. "He kicked a couple of balls on Sunday, did a little bit more yesterday and more again today. So he's in a good place, he trained fully and was running at 100 per cent today. "He will be ready for the weekend. His kicking drills, he's probably not hitting them 100 per cent yet, but today's Tuesday, Saturday is a long way away. And he'll be ready to go."